The next update for Grid Autosport will let you put your head into the driver’s seat if you have an Oculus Rift virtual reality headset. Potentially, this could make for one of the most engrossing driving experiences available on PC. Besides Euro Truck Simulator 2, of course. They expect the patch to go out later this week. It doesn’t just add support for VR, the patch will also lay the groundwork for the upcoming Drag Racing DLC and fix bugs in the vehicle upgrade system and make improvements for to the official playlists. Cockpit-style games have always seemed the natural fit for VR, it makes sense to be in the situation where you turn your head separately to your body, unlike FPSs where, with an Oculus, you turn your whole body with a look. Grid Autosport offers such a variety of racing styles and in such a pretty package that it’ll l be one of the first games I try out when I finally get my hands on one of those headsets. Full instructions of how to set up the game and your Oculus to work together can be found in the post. The full patch notes can be read on the next page. Oculus Rift – Added code support to enable Oculus Rift compatibility, coupled with minor optimisations for the virtual reality experience. Drag mode addition – Additional code for the new “Drag” race mode. Community Requested Fix – Repair costs of high mileage vehicles get progressively too high, this has been resolved. Community Requested Fix – Increased variety of tracks found within playlist events. Online Fix – To improve the online experience, player impact ratings are now enabled by default. Community Requested Fix – Vehicle upgrades were fully functional even when vehicle tuning is disabled, this has been resolved. DLC Support – Various fixes to ensure full compatibility of the Drag DLC, which contain new tracks, cars and game modes. Online Fix – Resolved sporadic instances of network games loading into the race with just your team mate, despite having more players in the lobby. 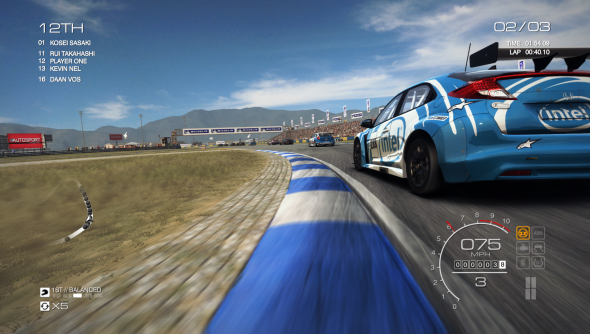 Stability Improvement – Improved stability of the game under certain strained scenarios within the track select screen. Stability Improvement – Improved stability for multi event sessions when using the checkpoint game mode. Community Gift – We will be rewarding all players with 500,000 in-game cash when the patch is applied. This is a small thank you to all who have supported the GRID series and the active community who have given us their constructive feedback.